The Doggart family had close connections with Newman Brothers, and two family members, Joseph and William were shareholders at the company. In fact, we know that Joseph Doggart was a not only a shareholder, but also a director at Newman Brothers in the late 1950s. W.L. Doggart were wholesale merchants and manufacturers to funeral undertakers and had a warehouse on James Street in Belfast and a factory on Donaghadee Road, Newtownards, County Down. 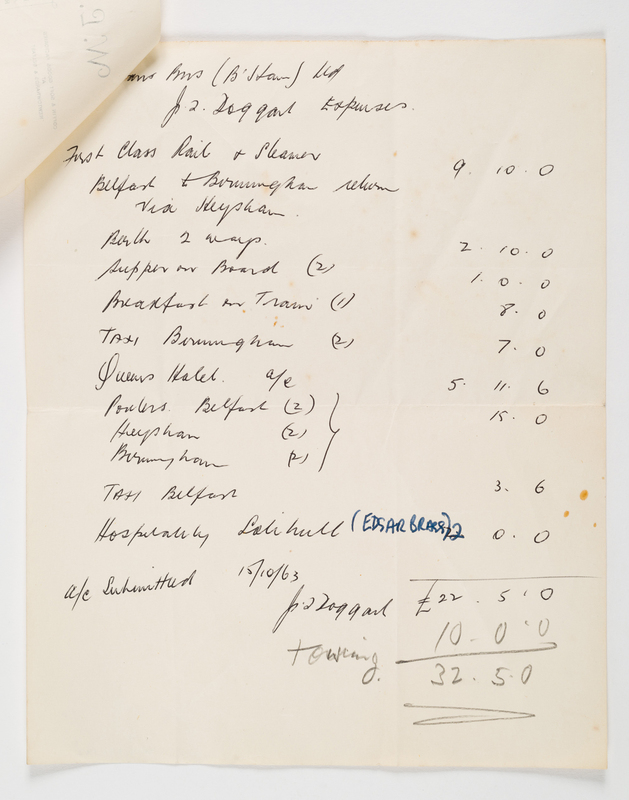 From this document we can see that Joseph or ‘Joe’ was claiming travelling expenses from Newman Brothers for a trip to Birmingham in 1963. During that trip, he seems to have visited funeral directors, Edgar Brass of Solihull, presumably to do business. W.L. 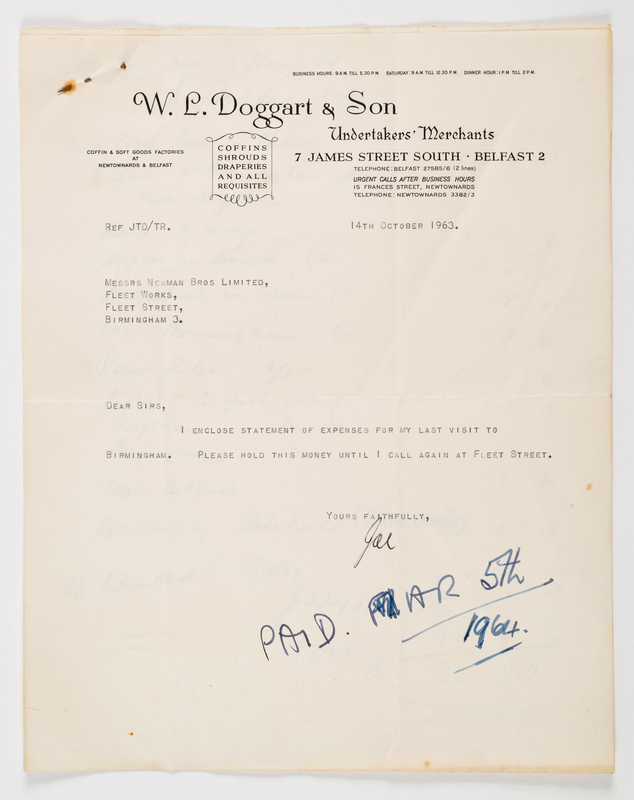 Doggart also operated under another name, ‘Shroud Manufacturers Ltd’ and were based at 7 James Street, Belfast. They worked closely with Newman Brothers, who produced shrouds and ‘shirts’ for the Belfast company. Click here to find out more.